Alain Viaud has served since January 2015 as the Controller for the Hospice of the Chesapeake, where he oversees all financial and accounting operations. Alain leads a team of professionals who provide expertise in accounting and are responsible for regulatory and financial reporting, budgets, forecasts and variance reporting, auditing, accounts payable, receivable, payroll, purchasing, and patient and physician billing and collections. Alain has an extensive background with over 20 years of experience in Accounting in the Healthcare Industry, working in both the For-Profit and Not-For-Profit sectors. Prior to joining Hospice of the Chesapeake, Alain served as the Controller for Psychiatric Institute of Washington where he managed a $50M Operating Budget, $20M Three Year Capital & Financial Plans, and managed Information Technology, Finance, Human Resources, Building Facilities teams as well as an internationally outsourced Business Office staff, for over five years. 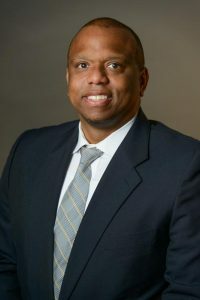 His earlier experiences include serving as Chief Financial Officer within an education system, Finance Manager for Physical Therapy and Rehabilitation under University of Maryland Medical System, Director of Finance of a CCRC and PHO, and Public Accounting at KPMG. Alain holds a Bachelor of Science degree in Accounting from the University of Pittsburgh. Outside of work, Alain is an active community member and has severed in multiple roles with sports and human service organizations throughout the region.